In the 1950's Detroit Public Schools was growing at a rapid rate. 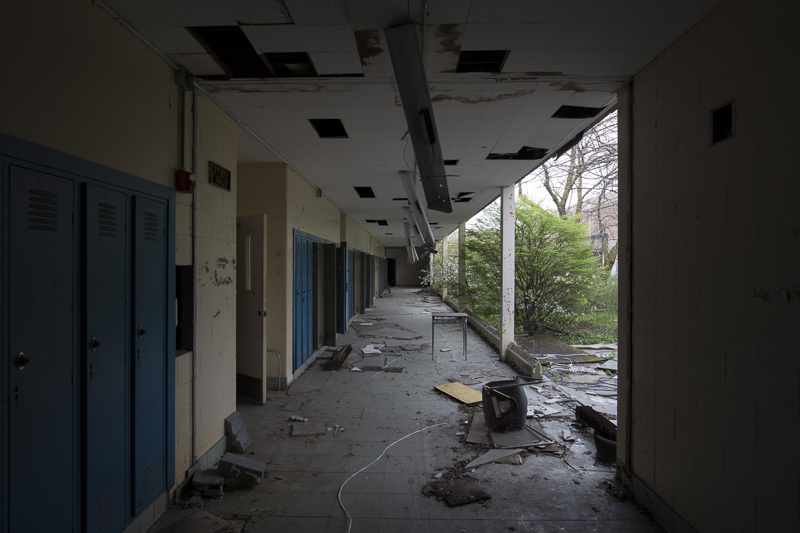 Many of the district's schools were old and in need of repair or replacement. A $90-million-dollar program was approved by voters in 1959 that included funds for 21 new elementary schools, five junior high schools, and three new high schools. 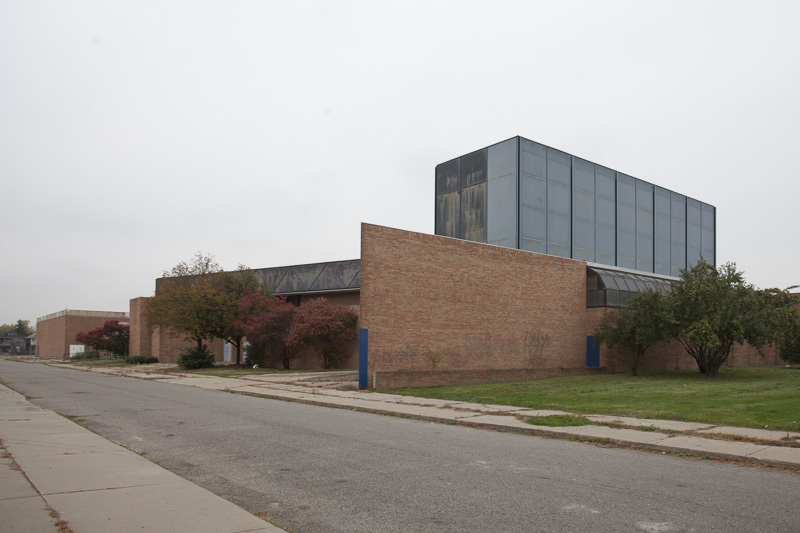 There was an acute need for a new high school on the east side of the city, close to the automobile plants and their workers. 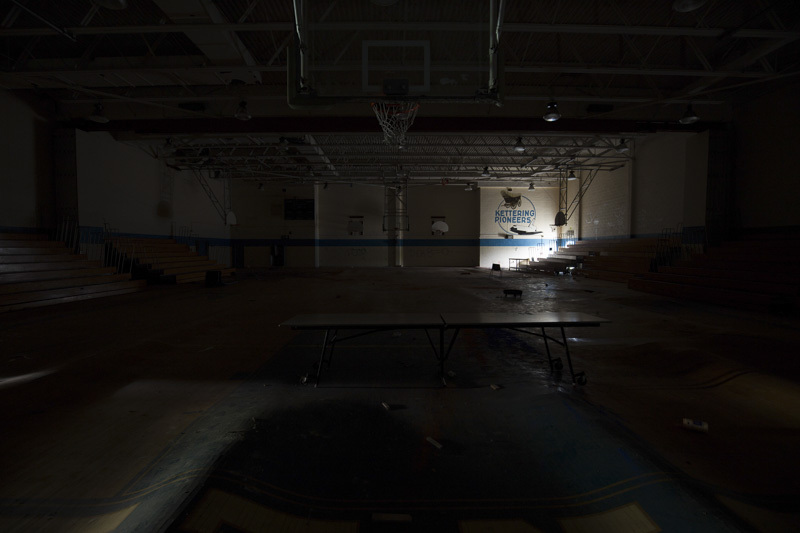 Eastern High School would be replaced with a new building, but still faced overcrowding. 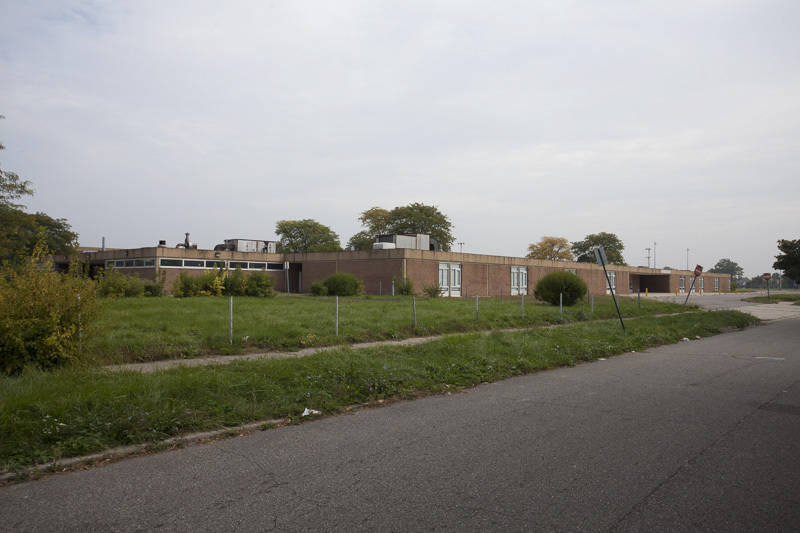 In May of 1960, the district announced that a high school would be built along Van Dyke and the Edsel Ford Freeway, filling a gap between Eastern and Denby High Schools. 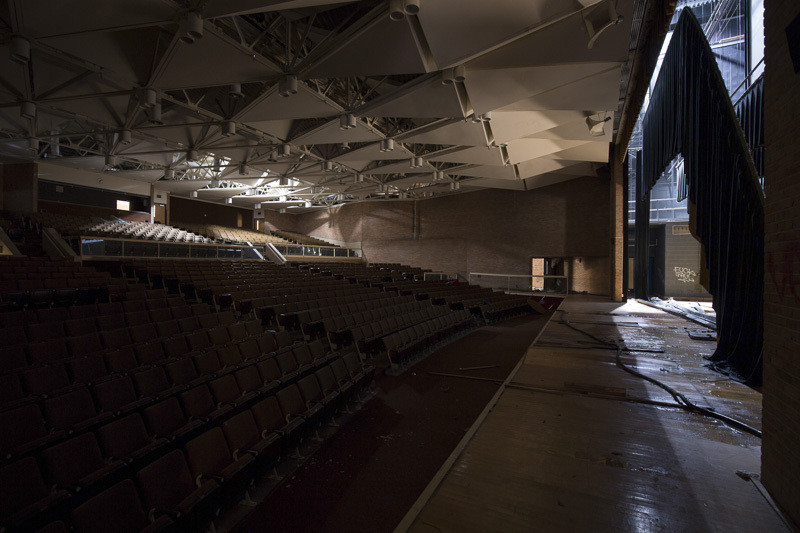 The new school would be named for Charles Kettering, an automotive engineer best known for designing the modern electrical starter, and who had passed away in 1958. Kettering High would be a modern school, built in phases as money and resources allowed. Clearing out the houses on the site began in March of 1961, and by June the land for the first phase had been leveled and surveyed. But even as the district was racing to build schools as enrollment approached 300,000 students, Kettering and other projects were delayed by strikes and cost increases. 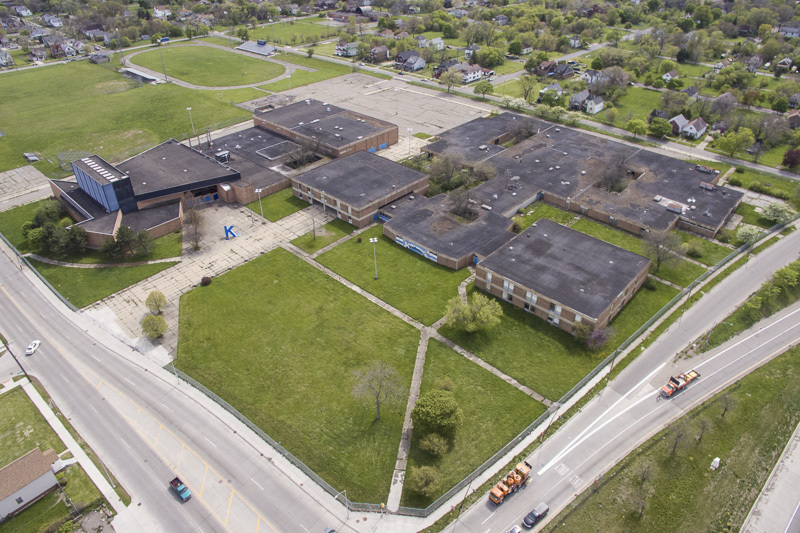 It wasn't until 1963 that the design of the $5-million-dollar school was finalized, by which point the district was already setting aside money for the first of several additions to increase the size of the building. As the start of the 1965 school year approached, workers were scrambling to finish Kettering, Eastern, and Murray-Wright high schools. 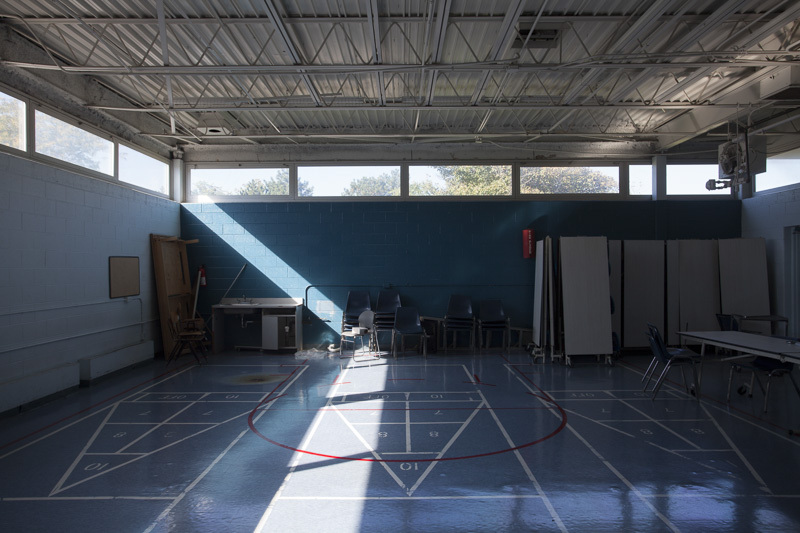 Even as the school opened in September, some classes were held in the gym because classroom furniture hadn't showed up. Workers continued to install lights and tiles throughout the first week, and at least for a few days all of the clocks were frozen at 10:30. 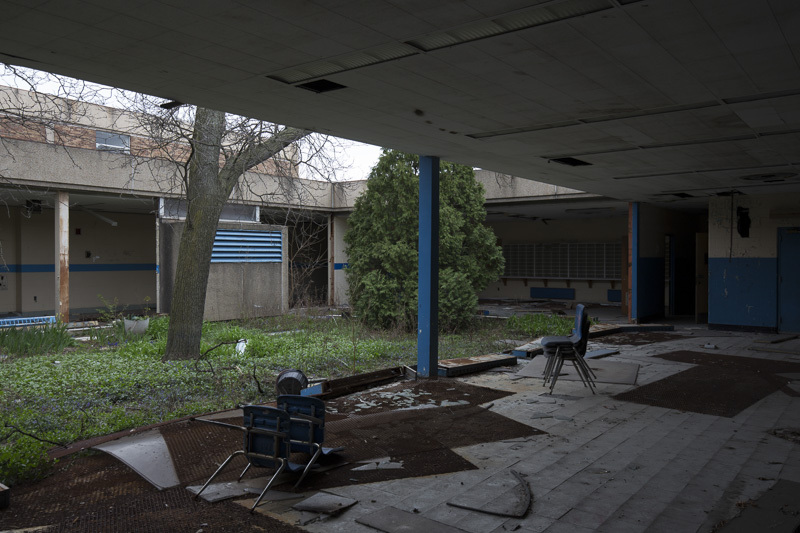 The first unit of Kettering included two story classroom wings connected in the center by a library and a cafeteria. 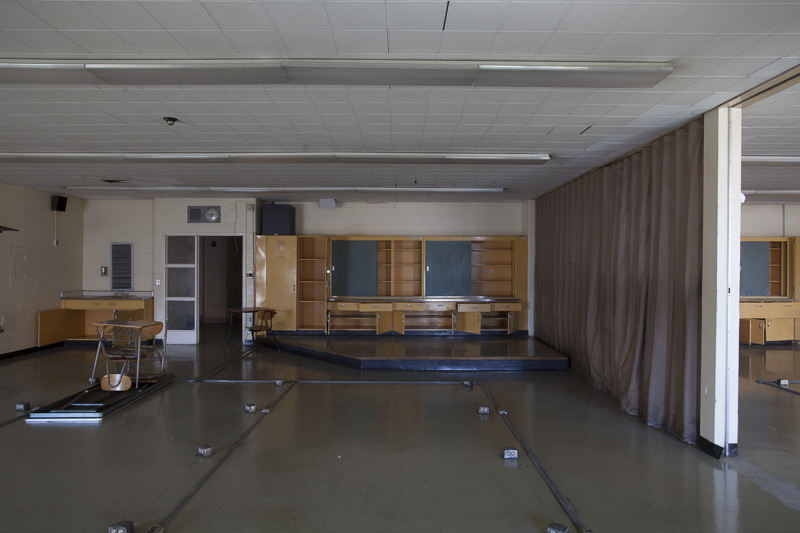 The Detroit Free Press noted that "Classrooms are grouped to divide students into 'houses' of about 600 students each to reduce the feeling of floating about in a gigantic educational factory. The Kettering is purposely designed to break up great vistas and provide a homelike atmosphere, with soft, pastel color and controlled light... Two small courts help light the library and lunchroom at the Kettering and give the impression that one is looking out a living room window toward a garden." The school was built without an auditorium or swimming pool, which were to be added when funding became available. 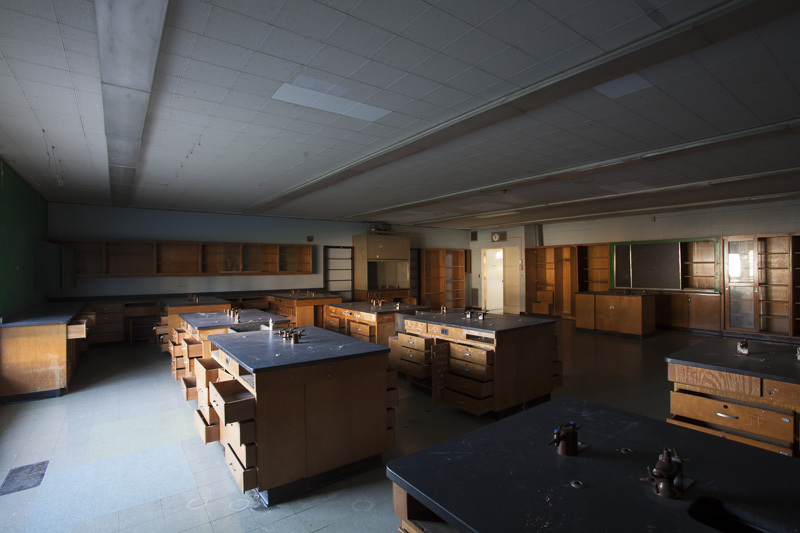 Work on the second unit of Kettering, which included additional classrooms and a gymnasium was started in 1967 and finished in 1969. 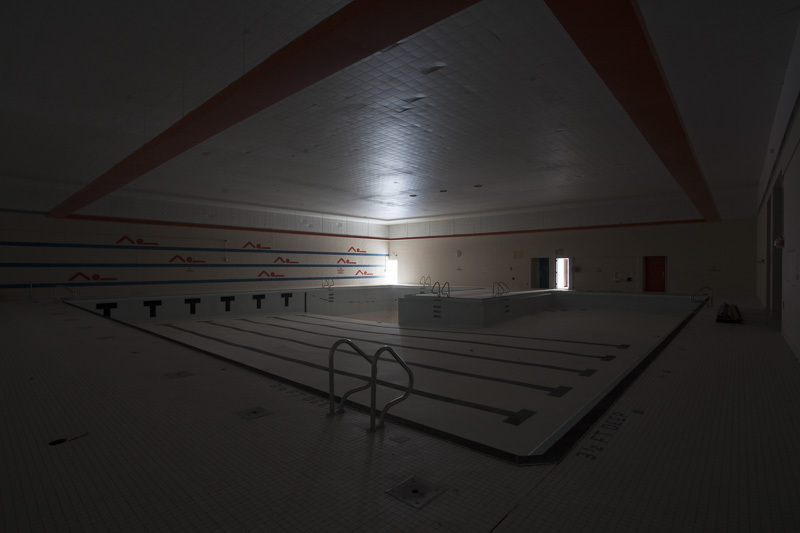 A third unit which included a pool was planned but delayed as the school district found itself in the middle of a landmark school desegregation case. 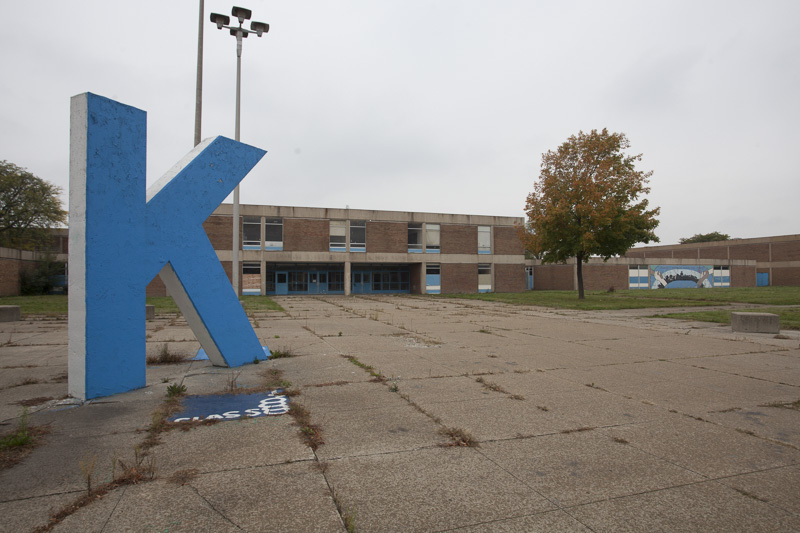 Like many other high schools in Detroit, Kettering was highly segregated. In 1970, 89% of Kettering students were black, while nearby Denby High was 93% white. 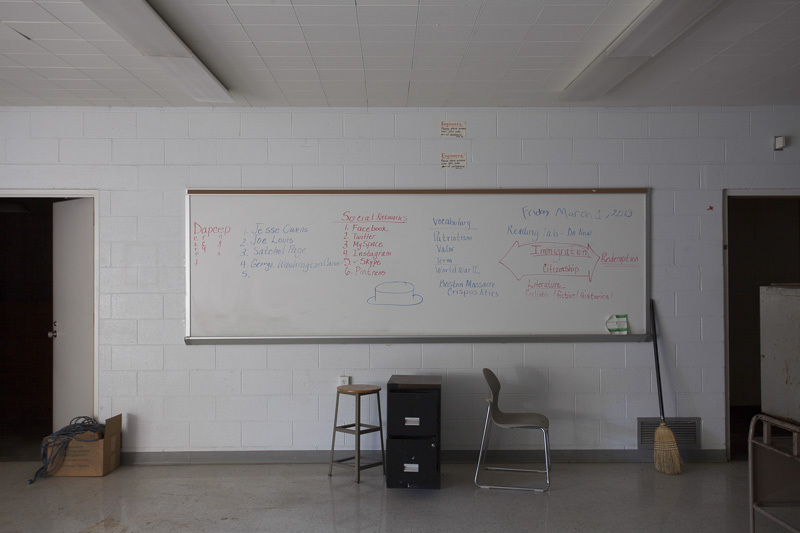 As part of a court-ordered integration program, white students who would have ordinarily been assigned to Denby were instead shifted to Kettering, touching of protests that shut down several schools. 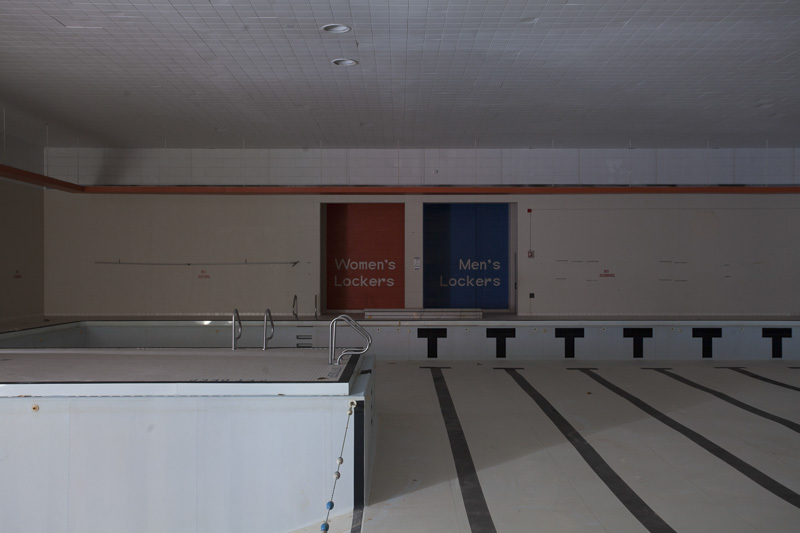 The NAACP sued to stop school construction, which favored majority white schools, and it wasn't until 1975 that the $4.3 million dollar pool and classroom addition was built at Kettering. Gang violence had also become a major issue in many high schools. 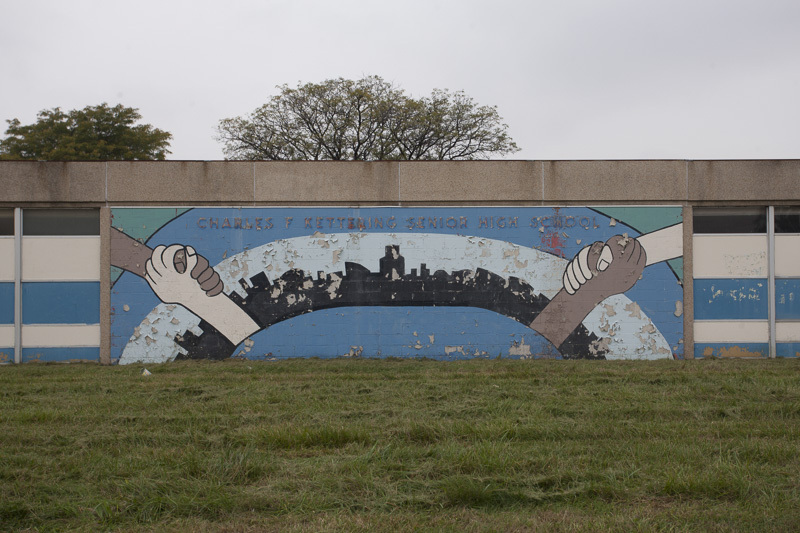 In 1975, only 10 to 20% of Kettering's 2,000 students had a gang affiliation, but the fights, stabbings, and shootings reverberated throughout the community. 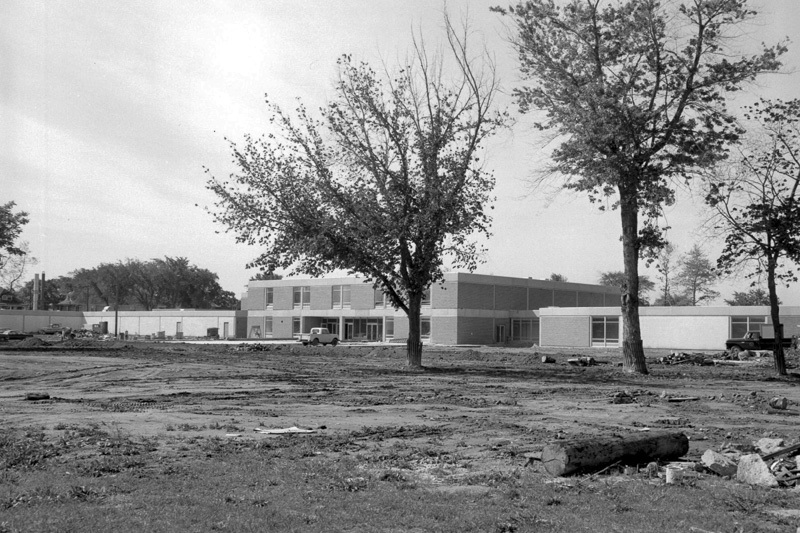 Ground was broken on the final addition to the school in 1978 - a $4 million dollar performing arts center that would include a 1,200-seat auditorium and expanded cafeteria space. The addition was designed by Detroit architect Roger Margerum. The sharp, angular design was meant to inspire students. "If we had given those kids a dog of a building, they would have torn it up. 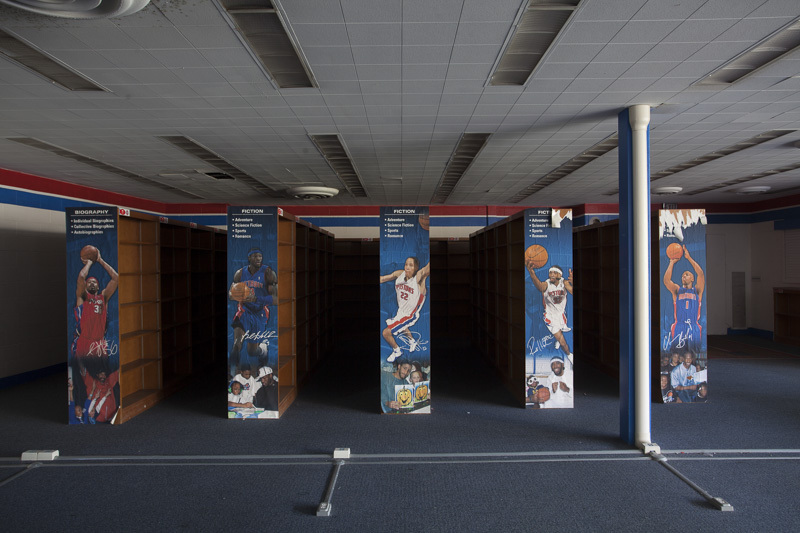 But we made it nice, hoping it would inspire them to not tear it up," he told the Detroit Free Press. Part of the addition included a 14 foot tall "K," located in front of the school. 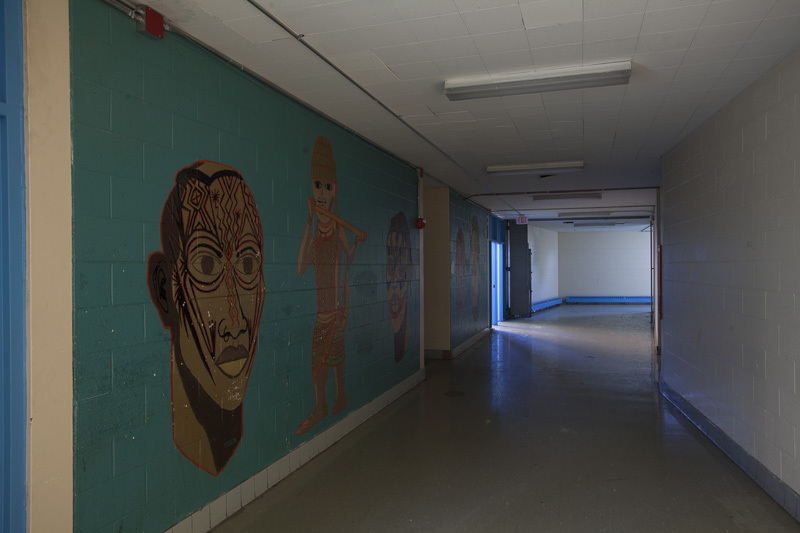 "We needed a physical symbol that the students could relate to. The 15-ton reinforced concrete letter is rugged, a sort of permanent battering ram of the school's identity. And the students react to it, too." 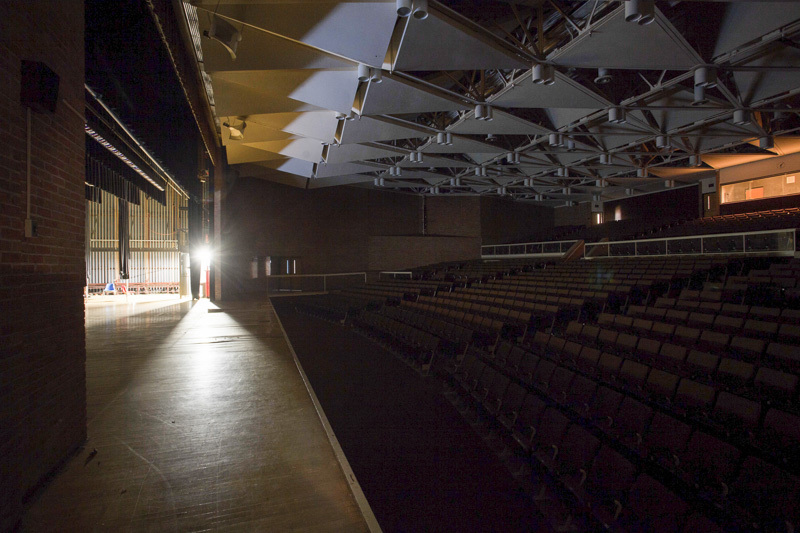 The Leonard Sain Auditorium was dedicated in 1981, two years behind schedule. But the addition did little to stop the bleeding. 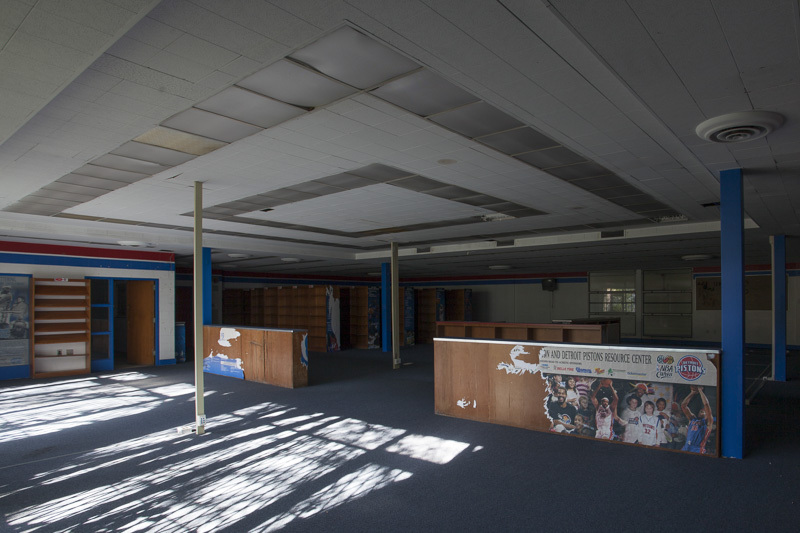 The 1980's were a period of turmoil in the school district as well as the city, as officials struggled with how to respond to the decline in population that came with the loss of industrial jobs and white flight. 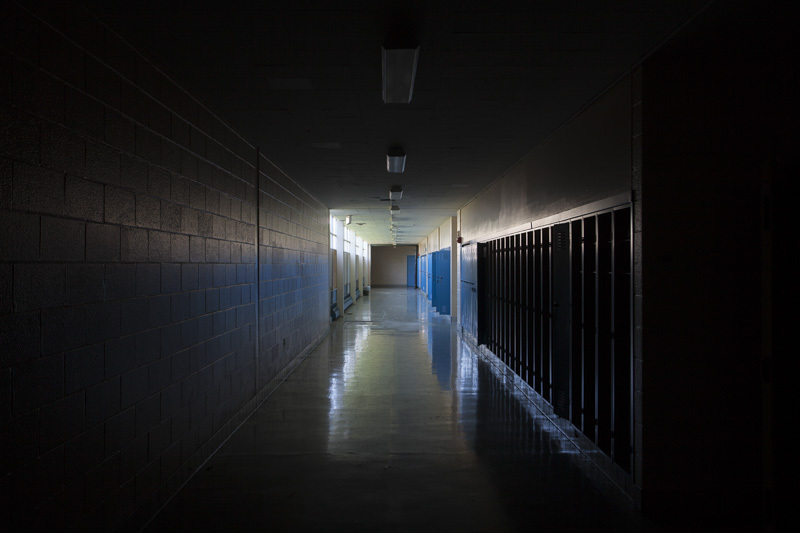 High school students in particular were vulnerable to the lure of gangs, which provided a sense of family that was often lacking. Rivalries often turned deadly. In 1989, the football team's quarterback was shot and killed for his Nike shoes and jacket by gang members. Despite the negative headlines in the newspaper, some students carved out a stable, productive school life. An overgrown courtyard was converted into a wildlife oasis by students in 2001, who built ponds and butterfly habitat. Kettering maintained a strong level of school pride, which remains to this day in the active alumni association. 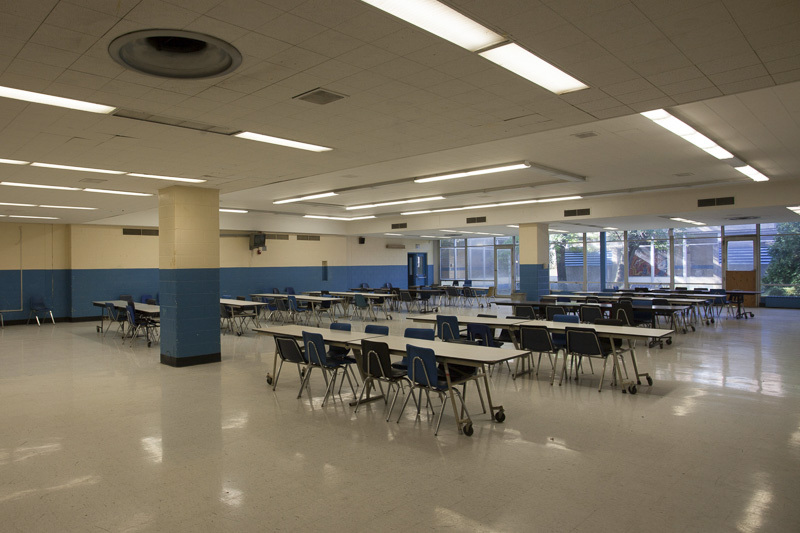 But the east side continued to empty out and by 2003, enrollment had fallen to 1,673 students, and there were plenty of empty classrooms. In 2004 the school district established a new school within the school. 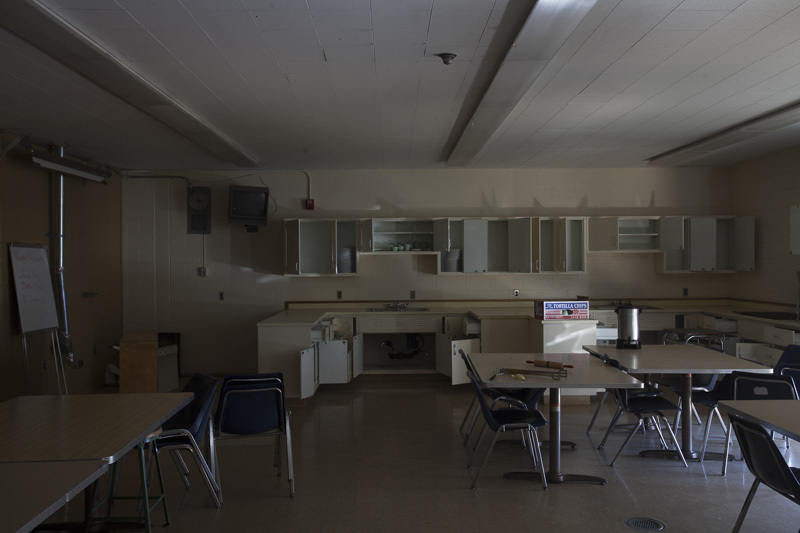 The single-story 1969 classroom addition was extensively renovated and became "Kettering West," a program for special needs students, while the high school continued in a reduced space. Still the school continued to lose students. 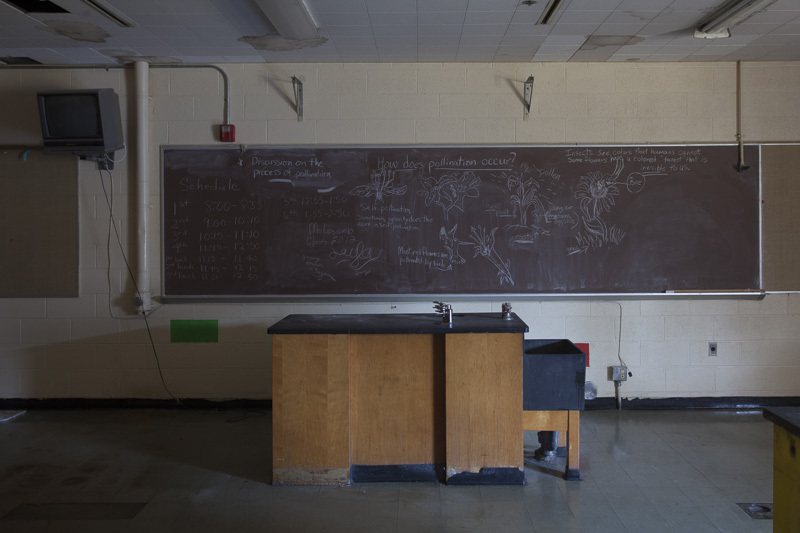 Kettering was conspicuously absent from a list of schools scheduled to be renovated or replaced in 2009, leading students and parents to wonder if the school would remain open much longer as a wave of building closures swept the district. 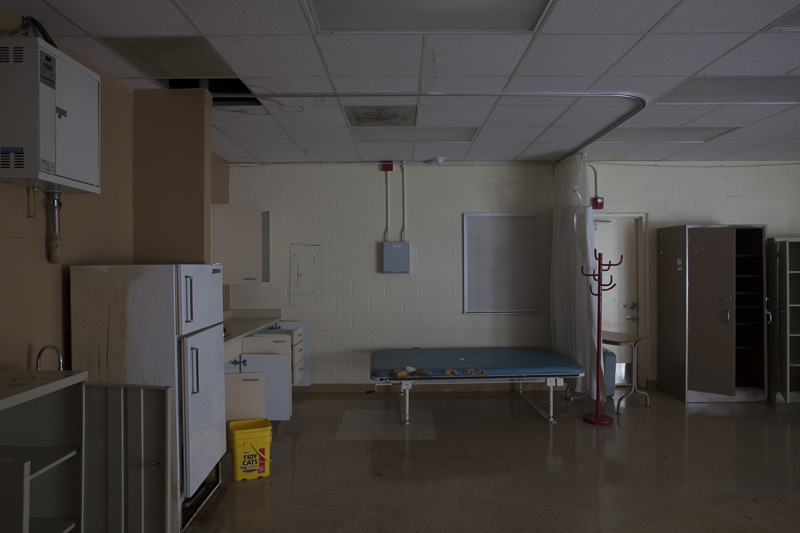 In 2010, DPS announced that both Kettering programs would close and relocate due to low enrollment. 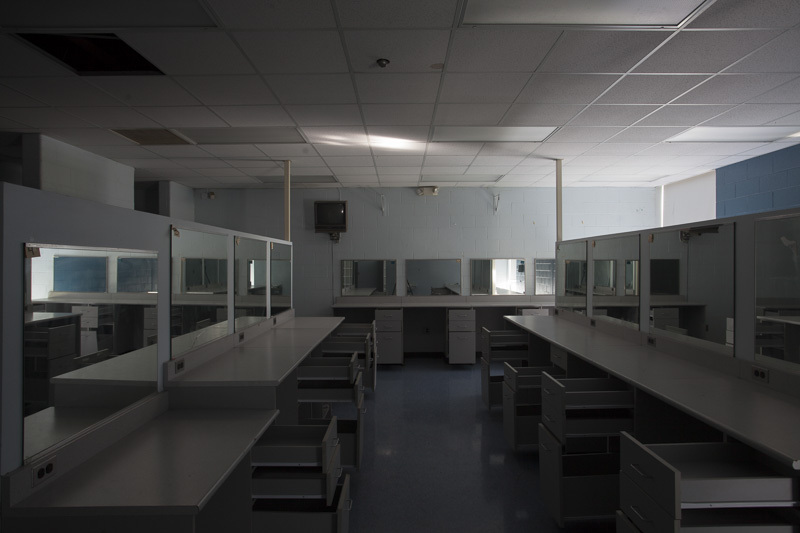 While the building had a capacity of 2,100, only 878 students were enrolled. 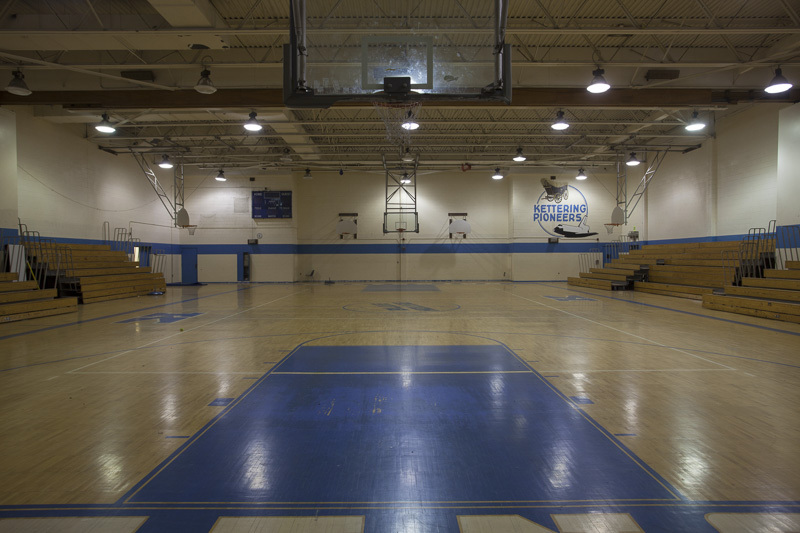 Ultimately the school was taken off the closure list due to concerns about gang violence if students transfered to Southeastern High, a rival school. But the reprieve was brief. Kettering was again listed for closure in 2012. 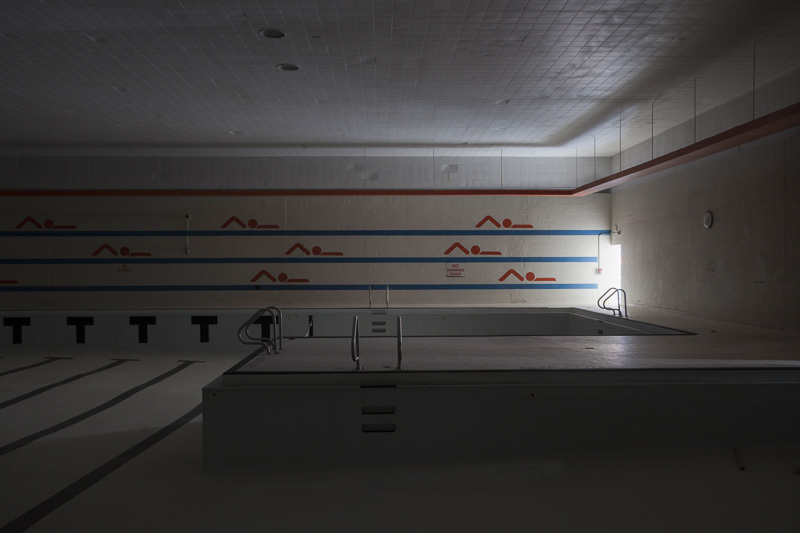 The district cited "an immediate need for roof, window and HVAC replacements totaling more than $5 million," as part of the reason for closing, despite having invested nearly $7 million dollars to renovate the west wing and the swimming pool just a few years before. Kettering High School closed for good in June of 2012. 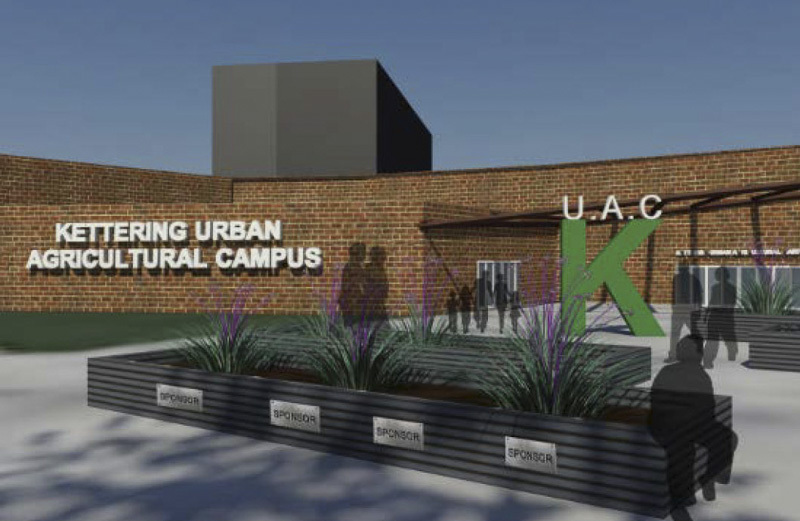 In March of 2014, DPS announced that Kettering would be converted into an urban farm called the Kettering Urban Agricultural Campus that would provide fresh food to local schools. 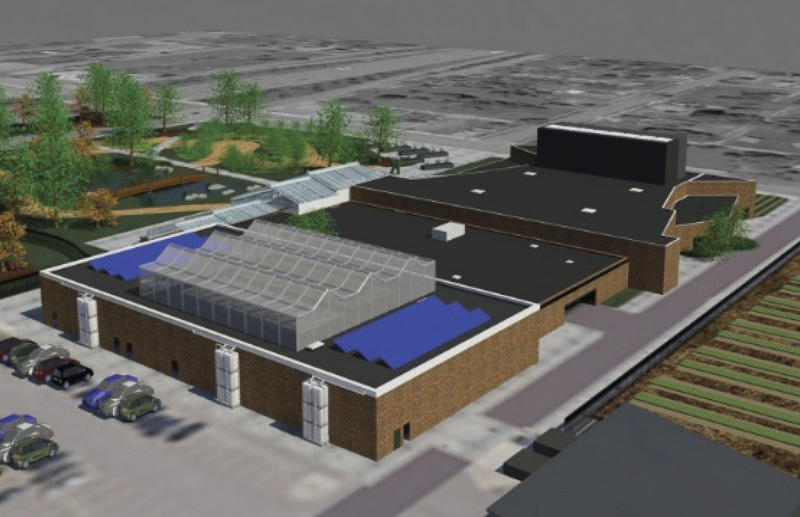 Early phases would involve building hoop houses on the parking lot and football field, as well as planting crops where the baseball fields were located. 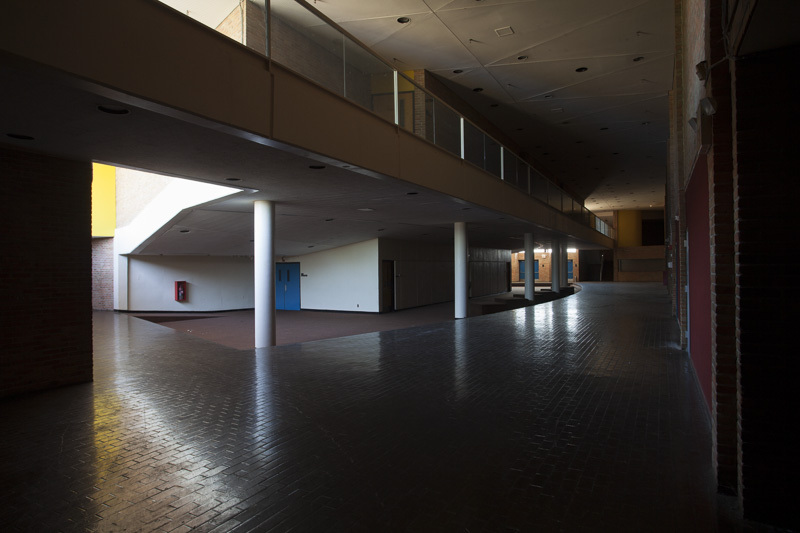 Later phases would renovate the auditorium and athletic wings of the building for food production, while the classroom wings and administrative wings would be demolished. 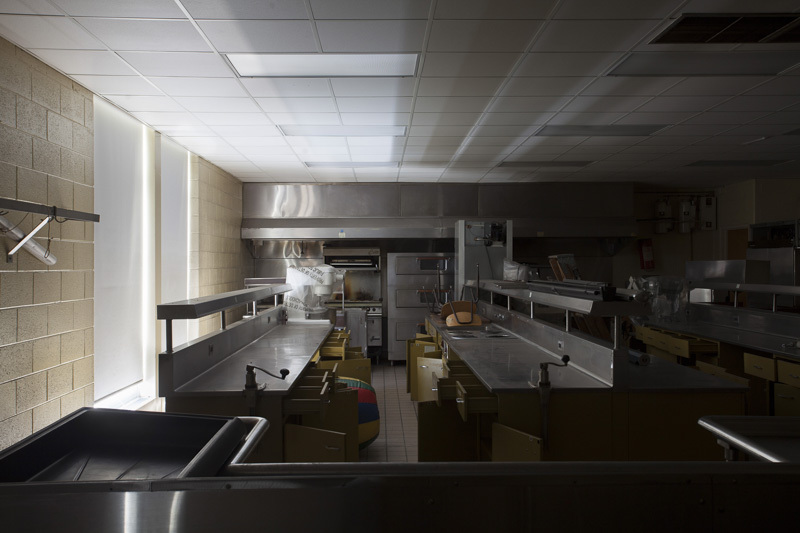 Though some early site preparation work was completed, including fencing off the property and installing security cameras, the project stalled as the district fell into financial crisis. The plan was revived again in late 2016, but the property has deteriorated significantly as scrappers strip the building.